The State Duma of the Federal Assembly of the Russian Federation appeals to the General Assembly of the United Nations, the parliaments of the Member States of the United Nations and international parliamentary organizations to call upon the United States of America to end the economic, commercial and financial blockade of the Republic of Cuba. The State Duma confirms the position stated in the statements and appeals of the State Duma of different years in connection with Washington’s sanctions policy towards the Republic of Cuba. Contrary to the fundamental purposes and principles of the United Nations, for more than fifty years the United States has unilaterally exerted political and economic pressure on the Republic of Cuba. Long-term sanctions of Washington not only hamper the development of the Cuban economy, but also infringe upon the rights and legitimate interests of Cuban citizens, including in the field of providing drugs and essential commodities. Washington has long ignored the resolution on the need to end the blockade imposed by the United States against Cuba, adopted by the United Nations General Assembly with an absolute majority. In October 2016, the United States abstained in voting on this resolution, which can be regarded as a step in the right direction. However, this did not develop further. The policy pursued by the United States of America with respect to a neighboring independent state is completely contrary to the basic principles of international law enshrined in the Charter of the United Nations. According to the principle of non-interference in internal affairs, each state has the inalienable right to choose a political, economic, social and cultural system without interference in any form from another state. Washington’s stated policy of normalizing bilateral relations with Havana, the recognition of the policy on Cuba as obsolete, the introduction of certain indulgences in the blockade regime, the exchange of diplomatic missions in practice did not lead to the removal of most of the restrictions and sanctions measures against the Cuban state and its people. Despite expectations, the Cuban-American relations are not improving. On the contrary, there is a tendency to slow down this process, there is no progress on issues that are fundamentally important for the dialogue between Washington and Havana. Alarming in their sharpness statements of the American authorities to Cuba, sounding from high tribunes, including international organizations, testify to the revival of confrontational elements that threaten to disrupt previously reached agreements. Deputies of the State Duma welcome the aspirations of the peoples of the world, including the American public, aimed at abolishing the economic, commercial and financial blockade of the Republic of Cuba and the speedy normalization of Cuban-American relations. The State Duma calls on the administration of the United States of America to stop impeding the realization of Cuba’s sovereign rights – the freedom of international trade and navigation, the implementation of mutually beneficial trade, economic and financial cooperation with all states – and not oppose itself to the world community, resolutely demanding the early lifting of the economic, commercial and financial blockade of the Republic Cuba and respect for universally recognized principles and norms of international law, including the principles of sovereignty States and non-interference in their internal affairs. Cubans have been actively opposing external aggression and tough sanctions for several decades, which proves the uselessness of the economic, trade and financial blockade. 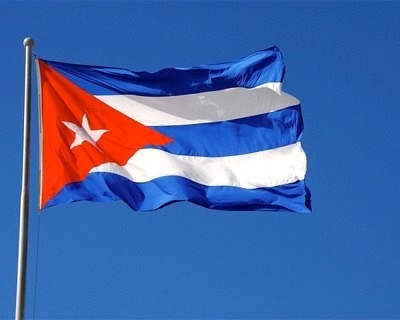 The embargo regime, in force since 1962, can not break the Cuban people, the main value for which is a free motherland. Recognizing the central coordinating role of the United Nations in international relations, the State Duma calls on the United Nations General Assembly, the parliaments of the States Members of the United Nations and the international parliamentary organizations to strongly advocate the cessation of the economic, commercial and financial blockade of the Republic of Cuba by the United States and undertake with this practical actions on a bilateral and multilateral basis, using a variety of international formats beneficial cooperation.